NETHERLANDS: Vattenfall has specified the Nordex N117/3600 turbine to power its 180MW Wieringermeer wind farm, 60km north of Amsterdam. 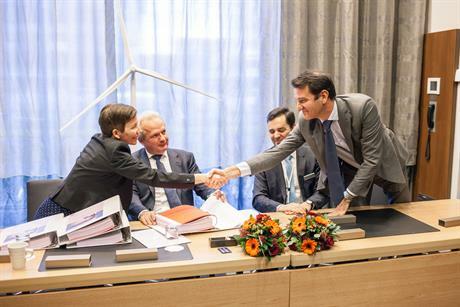 The contract order was signed at the WindEurope 2017 event in Amsterdam on 28 November. The Wieringermeer site is subject to noise restrictions, and the Nordex turbine blades will feature serrations to enable the limit to be met. Installation of the 50 turbines will start in March 2019, with the project scheduled for commissioning by the end of that year. Nordex will also provide servicing and maintenance.